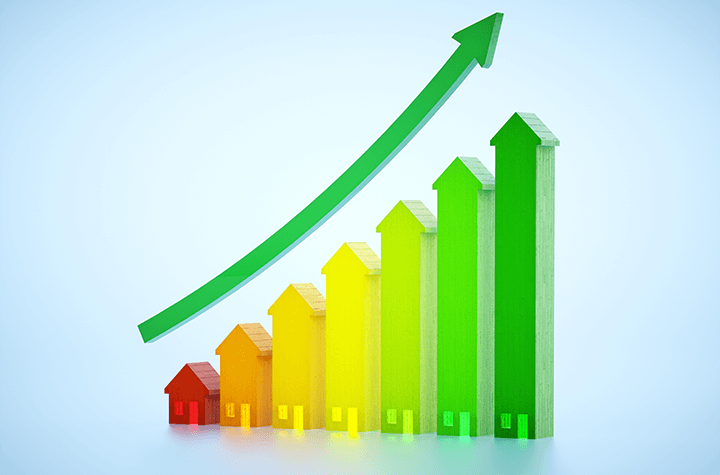 In the midst of stricter mortgage rules in Canada, a new RBC poll has found that the number of Canadians intending to buy a home in the foreseeable future has reached its highest level since 2010. However, the concept of what a “home” means exactly, is changing drastically in urban centres like Vancouver and Toronto. As a metropolitan society, Canadian city dwellers are moving away from the idea that homes are what city planner Jennifer Keesmaat calls “red” and “brick,” towards the fact that most available homes are now clear and glass. A CIBC report earlier this year found that 77% of Canadians “feel confident they’ll be able to achieve their 2018 financial goals” after they revealed their Financial Confidence survey results. Those aged 18 to 34 are gaining more purchasing power, and are moving away from the bank (or property) of mom and dad, with their eyes set on the housing market. This optimism comes despite the recent “stress test” rules that went into effect this January, impacting mortgage lending terms. RBC’s Nicole Wells thinks buyers are taking a more informed route towards home ownership which will hinge on affordability. The survey also found that Canadians are concerned about interest rate increases (61%). In terms of the down-payment, 35% said they’d turn to family for help while 36% said they’d use their own savings. Property analysts call the current housing climate a “sort of tug of war” where bidding wars for homes are decreasing in number just as banks tighten restrictions on mortgage lending.